I’m not sure when the trend of taking photos of our food started, but I know it’s in full swing. If you’re out at a restaurant and the biggest, most delicious burger is put in front of you, the first thing a lot of us want to do is snap and share with our food-loving friends. Or, if you just cooked up your first Thanksgiving turkey with all the trimmings, chances are your camera phone is on-hand to capture all the culinary glory. And now, there’s a new photo sharing app in town to help you shoot, savor, and share all your fave eats with the world. 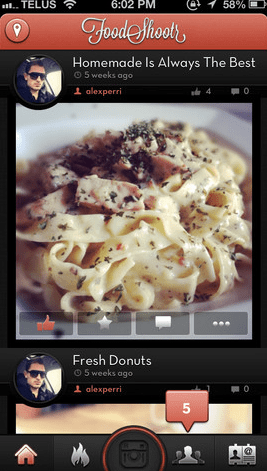 FoodShootr is the new mobile service that easily lets you take photos of your fave foods to share with your friends. By exploring other FoodShootr photos, the app is re-inventing the way you eat out by helping you discover new restaurants. I have to say, photos are pretty convincing to me when it comes to restaurant picking. If the photo of your gorgeous strawberry cheesecake is not doing it justice, don’t worry. FoodShootr comes with several filters including a depth-creating blur filter that you can apply to make your pic pop. You don’t have to be a pro to create mouth-watering images. 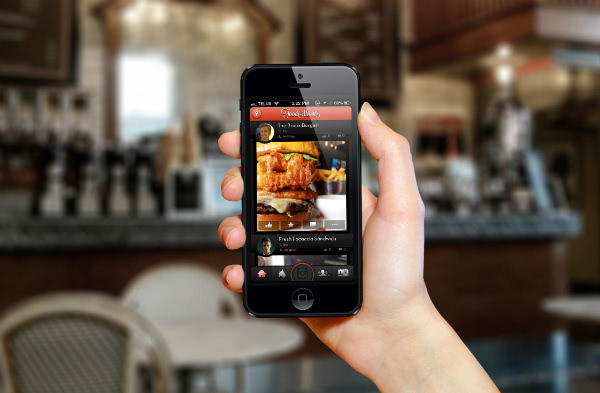 FoodShootr is all about socializing with other users. By using hashtags and mentioning other users in your posts, you can easily interact with the FoodShootr foodie community and see what’s trending, where users are dining, and what delicious eats they’re savoring. Check out the video below to see FoodShootr socialization in action. The app makes food and restaurant discovery easy, fun, and simple with features that include a timeline of your food photos taken, ability to like and comment on photos, access to the “hottest shots,” and the ability to search for specific foods, restaurants, areas, etc. You can view the activity of your fellow FoodShootr friends while checking out their profiles. Easy as pie and just as delicious. The team behind the food discover and photo sharing app is no joke. 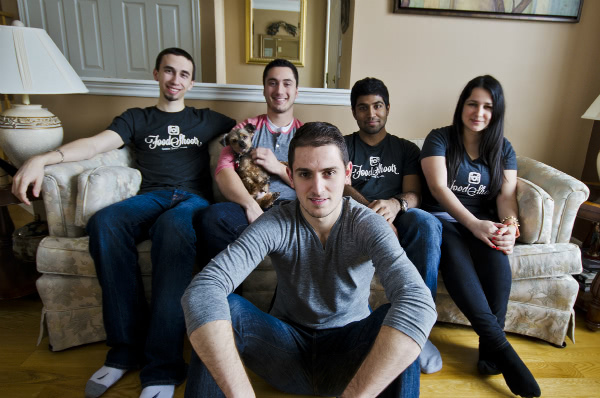 From commercial photography, to biophysics, to journalism, to computer science, the Toronto-based team of five is bringing an array of expertise to the table to make sure users have the best experience possible. Check out their bios here. This food lovers’ photo sharing app is brill for a place like New York City, where I currently find myself wasting so much time online trying to find restaurants and reading reviews of the thousands of eateries here. FoodShootr is a much more interactive and fun way to shoot and share your eats and discover new dining establishments near you (or show off your own culinary greatness at home). Foodies, go download the free app here.